As a vertebrate palaeontologist, I spend a lot of time thinking about extinction. So for today’s Science Literacy Week highlights, I wanted to talk about books about extinction – not ancient extinctions, but modern biodiversity crises. Two authors that have deeply affected me on this topic are the late Farley Mowat, an iconic Canadian author, and perhaps surprisingly, Douglas Adams, of Hitchhiker’s Guide to the Galaxy fame. Many of Mowat’s books (just one of which I illustrate here) feature stories of the Canadian wilderness and wildlife. I grew up reading Owls in the Family and Never Cry Wolf, and then re-discovered his books as a graduate student. A Whale for the Killing is an absolutely gut-wrenching and fascinating book about a whale that became stuck in a small harbour in Newfoundland, interwoven with the broader story of the end of whaling in the 1970s, when the book was written. Having grown up in the era of Free Willy, it’s weird to think that just a few decades before I was born, whaling was a normal everyday occurrence and a trapped whale wasn’t something to be saved but instead to be prodded at. 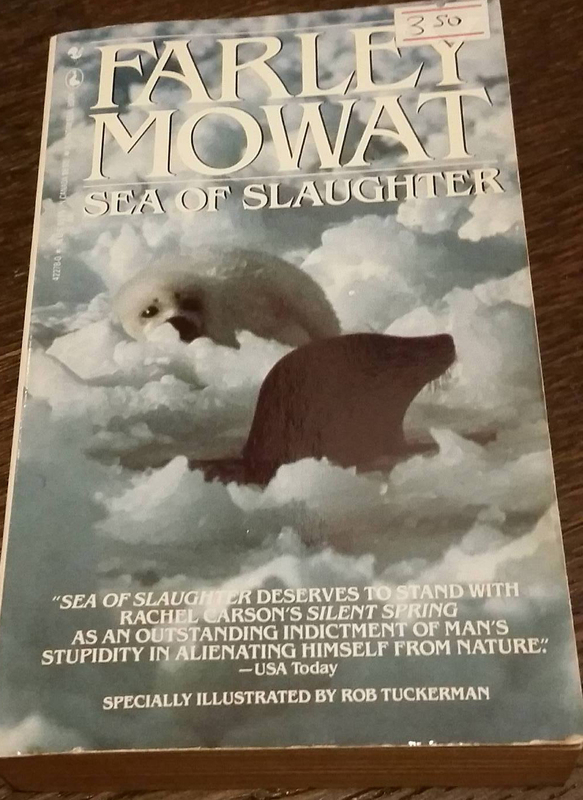 Sea of Slaughter, which I’m working my way through now, is the story of population declines across the east coast, and The Desperate People is the story of the Ihalmiut people of northern Canada and how diminishing caribou populations, and good old fashioned racism, changed their way of life forever. These are not easy or ‘fun’ books to read, but Mowat is a compelling storyteller and it’s hard to put these down once you start. 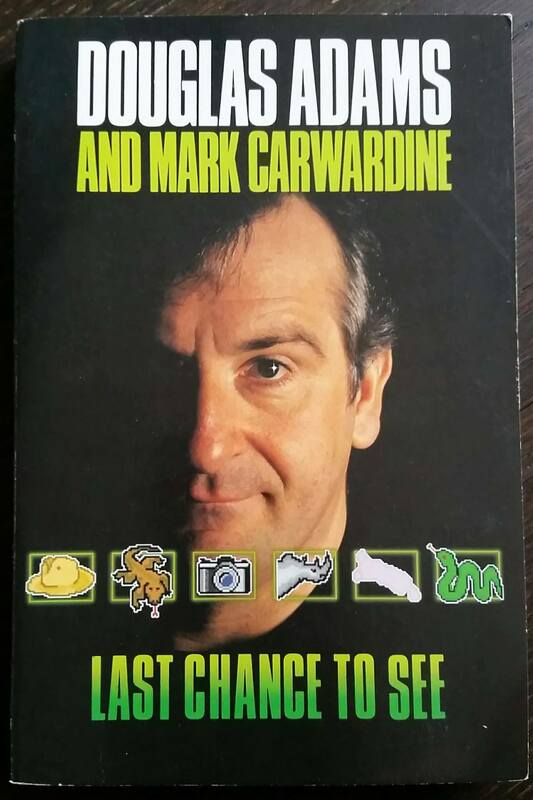 Last Chance to See is another book that’s been interesting to read long after its original publication date. Adams and Carwardine, a biologist, went looking for some of the most endangered animals on the planet in order to learn about their biology and conservation efforts. Some have had success stories, like the kakapo. Others have not, like the Yangtzee River Dolphin (or baiji), which was declared functionally extinct in 2006. Reading the book is thus a mixed bag of feelings: under the right circumstances and with a huge collective effort, we can bring species back from the brink, but can we do that over and over again without making huge systemic changes that don’t unduly burden the most vulnerable human populations? I don’t think there’s a good answer for that even now. If you haven’t read Last Chance to See, you can catch the documentary series on Netflix (in Canada at least), which is pretty great even if Douglas Adams isn’t in it.